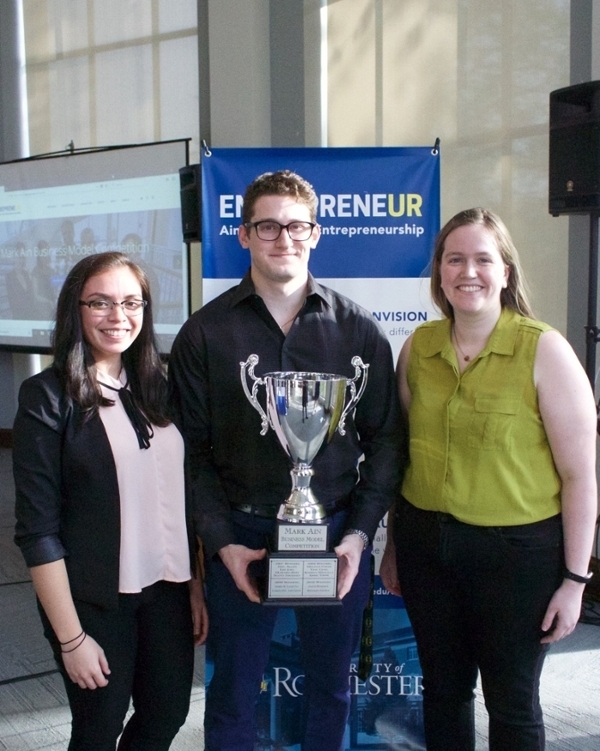 CompreSure Medical, consisting of CMTI graduate students Gregory Dadourian, Alyssa Lopez and Meghann Myer, won first place, a $10,000 award and a spot in the UR Student Incubator at Sibley Square, which is part of NextCorps. The group designed an implant that allows for minimally invasive bone reduction of fractures, spurring improved patient recovery. 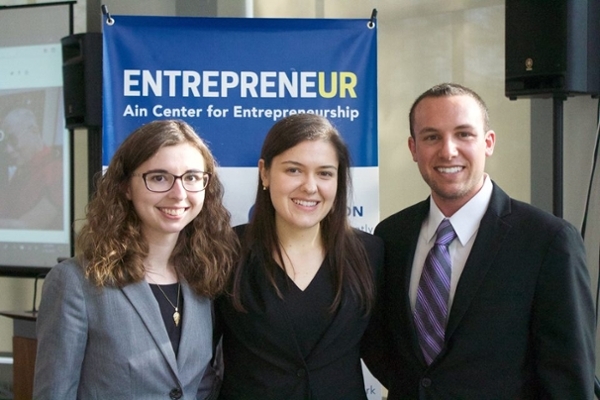 ADASI, which included CMTI masters students Rebecca Amorese, Amanda Smith and Evan Sosnow, took second place, winning $2,500 toward the implementation of their business plan. The group presented Kerrida, a disposable suction tip attachment accessory to the Kerrison Rongeur. Kerrida is intended to reduce water and increase efficiency during spinal surgery. 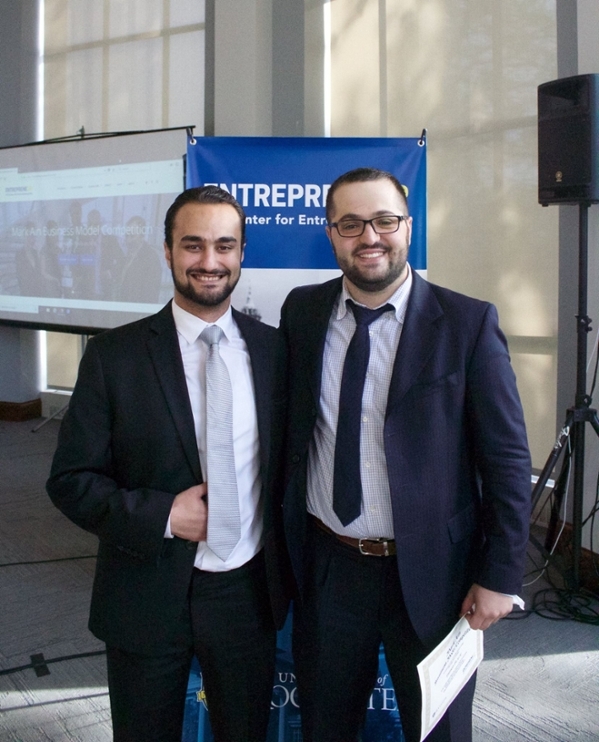 A BME alum and now mechanical engineering masters student Omar Soufan, along with his teammate, mechanical engineering PhD candidate Ibrahim Mohammad, took third place. Their group, Prosthesis for a New Syria, received $1,000 toward their business plan, which provides low cost, customizable 3D prostheses in areas with scarce healthcare resources. The competition’s namesake, Mark Ain, is a ‘67 MBA graduate who went on to found Chelmsford, Massachusetts-based workforce management company Kronos Inc. A record 27 interdisciplinary teams from around the University of Rochester applied to this year’s competition.